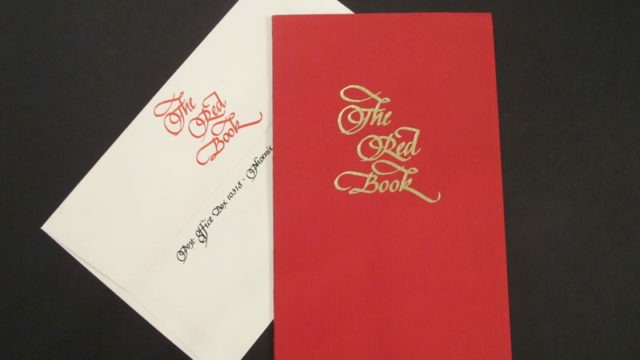 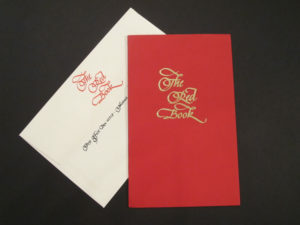 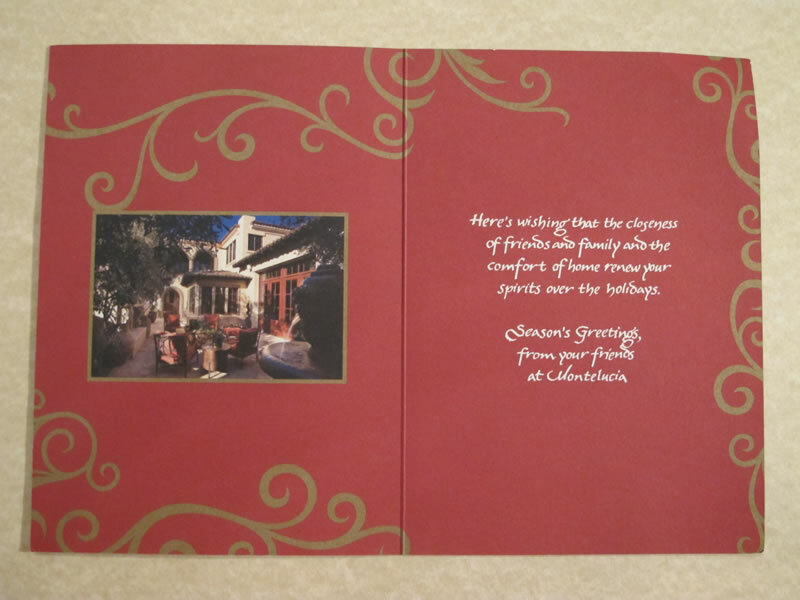 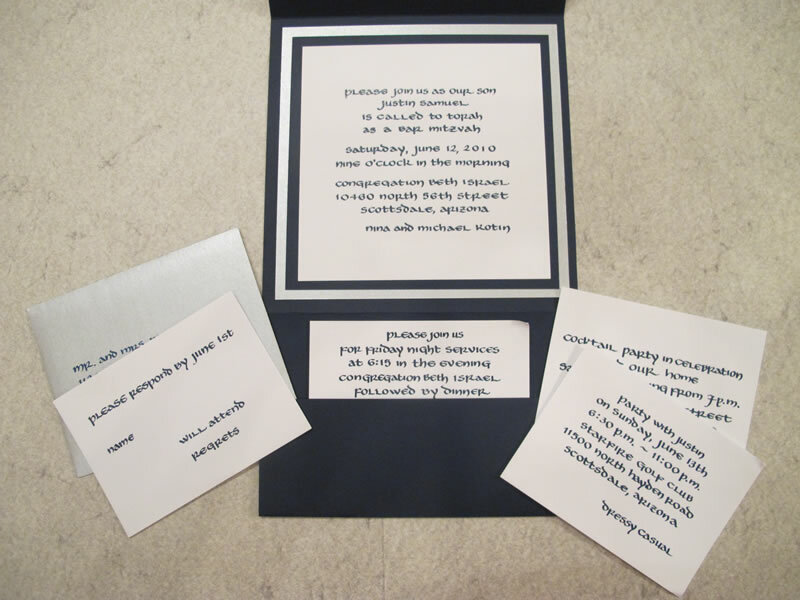 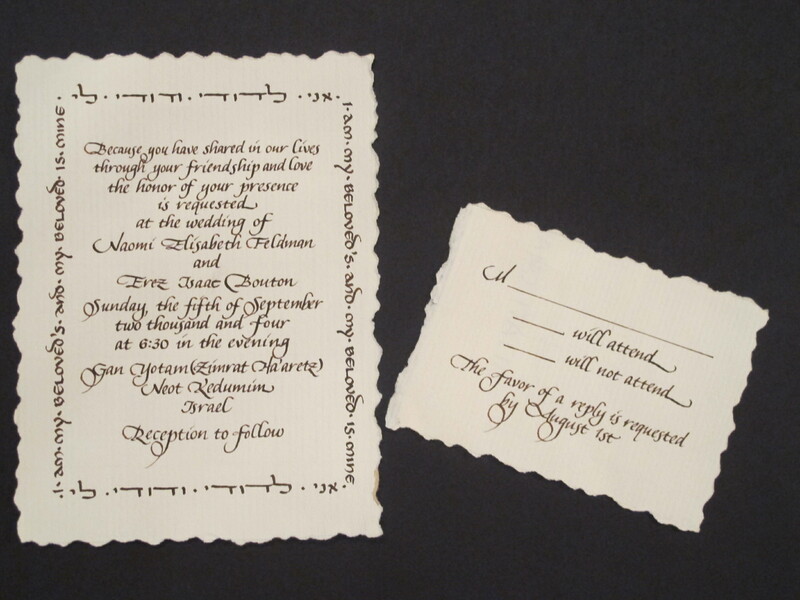 An invitation is the prelude to your special event, giving your guests a glimpse of what is to come. 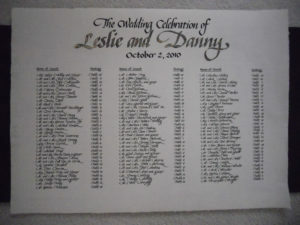 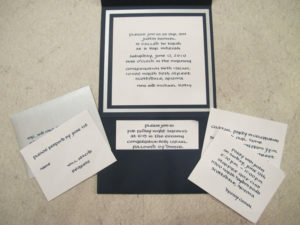 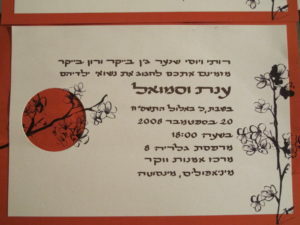 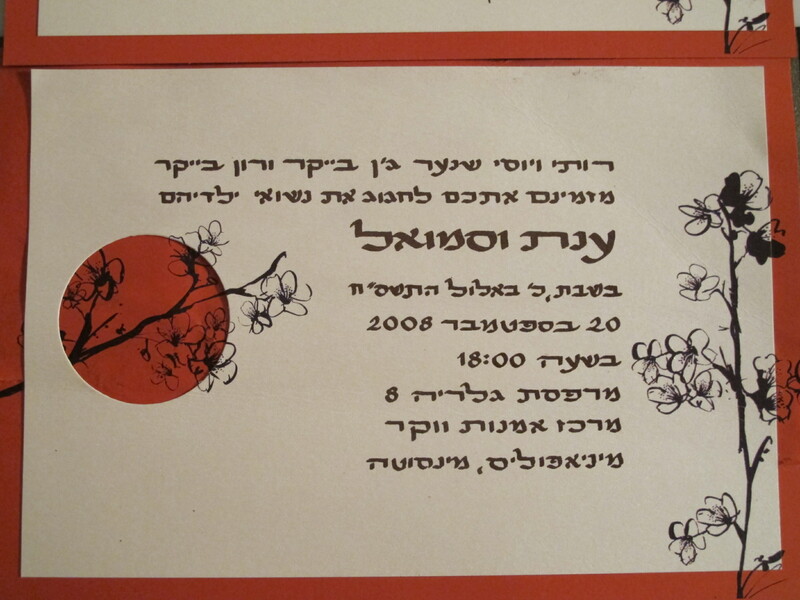 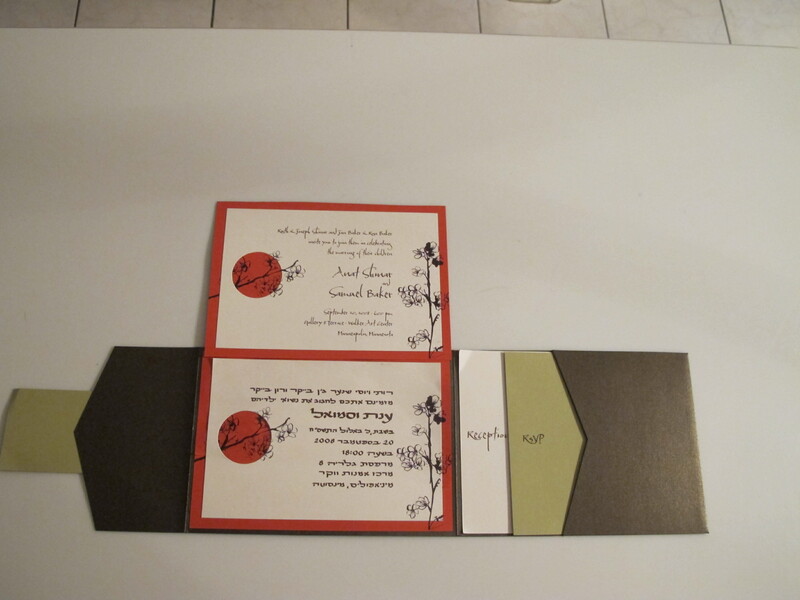 Your invitation reflects the theme and overall tone of your party, wedding, dinner and special event. 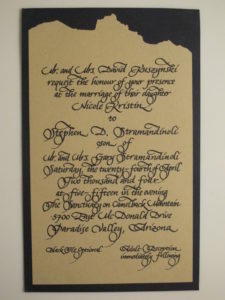 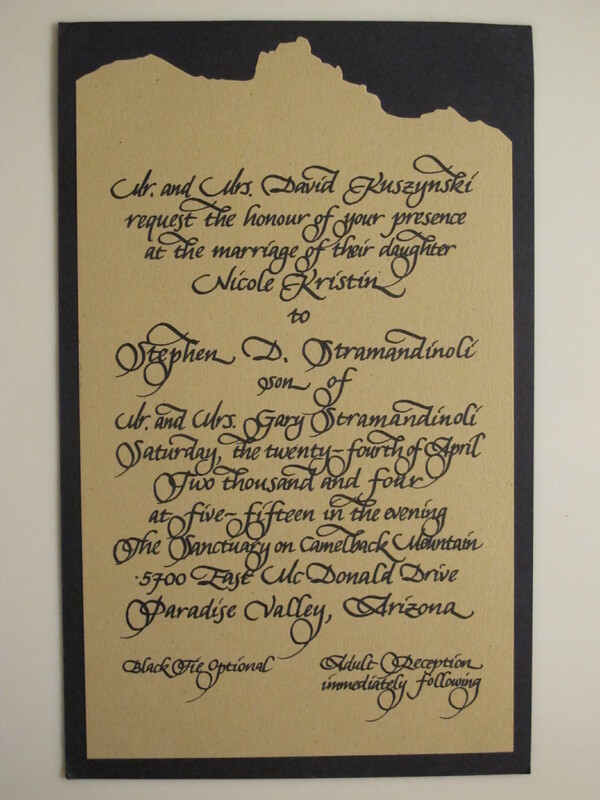 The Custom invitations I create for you, with your preference of hand drawn calligraphy letter style, design, color of lettering, paper and size reflect the importance of your special event. 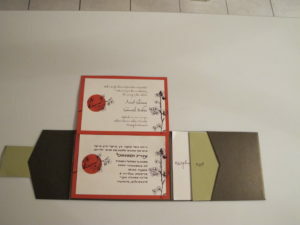 A few samples of my work listed below, which I have created for these special occasions. 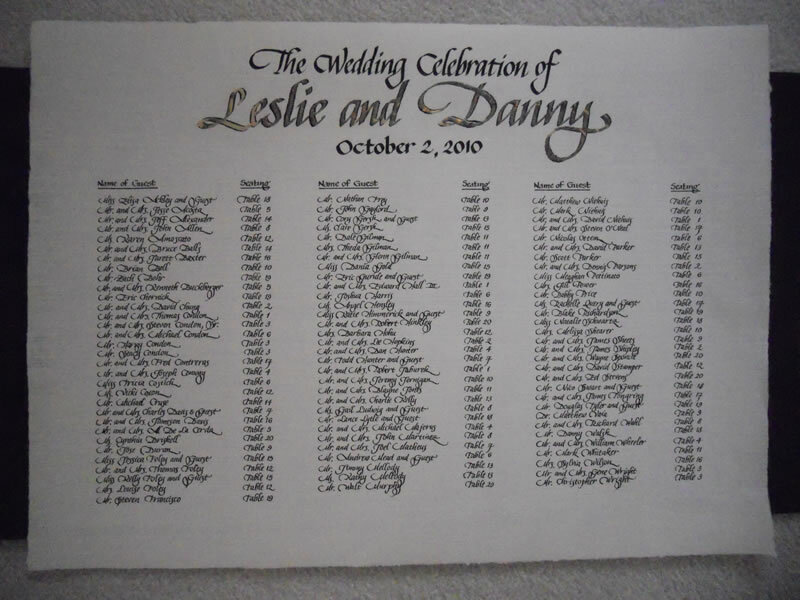 Click on any photo to take a closer look. 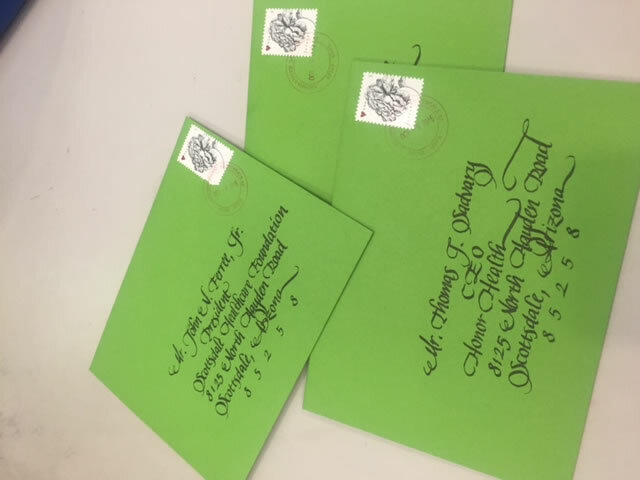 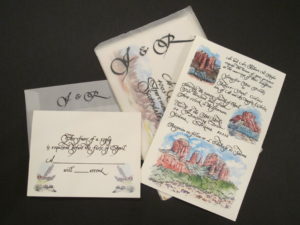 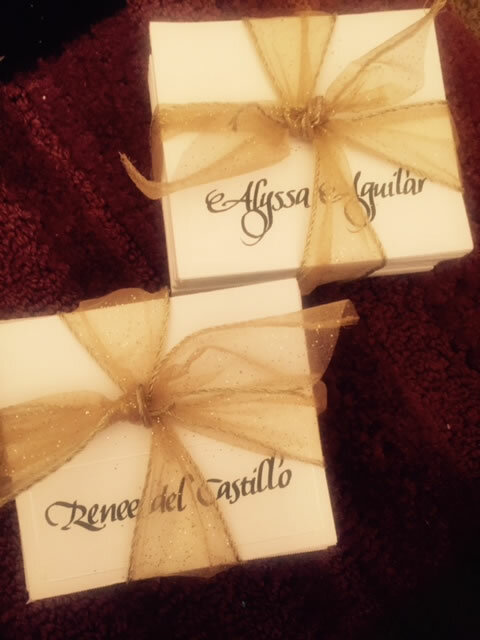 When you are ready for the next step go to the contact page and send me a note about how I can help your special day have the best calligraphy invitations.